It was the end of the business day on Tuesday, April 17, 1973, in Rochester, N.Y.. A van pulls up quickly to the curb, the driver jumps out, runs into the building and zooms back out with a package in hand, then promptly takes off toward the airport. A sleek French-made Dassault Falcon Jet is there ready to meet him with another person standing ready for the handoff. The Falcon takes off down the runway into the night graced by a full moon, destination Little Rock, Ark.. That day, in 24 cities across the U.S., this same curious activity occurred almost at the same time—with 24 other Falcon Jets launching into the night sky with a total of 186 packages. By the next day, somehow, each package had arrived, hand-delivered, at another city across the country…welcome to the launch of FedEx with just 389 employees! Ten years later, FedEx would be delivering nearly half a million packages a day with a billion dollars of revenue. Two years after that, it was over a million packages a day and fedex became a verb in everyday conversation. Today, FedEx manages over 8 million shipments a day with 285,000 team members worldwide. Imagine on that first fateful night if even one or two of those packages never made it to their destination? One or two packages lost would still have amounted to a 99 percent success rate. However, in this situation, it would have been a huge black eye and an unacceptable failure for the company—and for the team. In other words, they measure failure in absolute terms and work to eliminate failure on an absolute basis. In education, for some reason, we’ve made it okay to “lose packages.” We’re losing 30-50 percent of all our packages, but we aren’t talking about packages—we are talking about kids’ lives. Even when we try to “reform” public education, we pat ourselves on the back when achievement rates go up 5 to 10 percent, or dropout rates decline by 5 percent. Between K through 12 and college, fewer than 25 percent of our kids are making it through to their destinations. We pat ourselves on the back when test scores are high in a given school—but, secretly, we know that some of these schools are playing the numbers game when 5 percent, 10 percent, or even 20 percent of students are transferring out of the school to other schools, leaving behind only the kids who are the “good kids”—ones who are a match for the school’s program. As for other schools that have high graduation rates and acceptance into colleges, we wonder if their program was rigorous enough for them to complete college—or are they going to mirror the 75 percent of students who don’t make it through. Still, with other schools who “test well”—we wonder if students are being prepared for the skills required to compete in the 21st century—or if they’re simply good test takers. 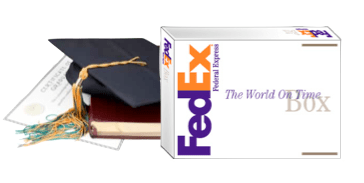 Just like FedEx, instead of measuring success, maybe we should be measuring our educational failure in absolute terms and working eliminate failure on an absolute basis. It’s unacceptable that we let any kid not make it and succeed—and we need to fight for each and every kid as if they were our own. Every kid has a right to succeed! Not 99 percent—but every kid. In every community across the country, we need to measure and then hit failure head on. How about cutting the dropout rate in half in five years? How about eliminating it in 10 years? The only way this can be done is to have schools that work—that have a mindset and culture that doesn’t let any kid slip through the cracks and fail…schools that prepare kids to be successful in 21st century life.